In a flash, Ben Chiarot watched as the puck blistered back from the face-off circle to where he was standing and on to the sweet spot of his stick. It unfolded exactly as he was told it would just seconds before. Letting a two-goal lead evaporate in the third period and allowing six goals in a 6-5 home loss to Nashville on February 27 was hardly cause for celebration in the Winnipeg Jets' dressing room. The play of newly acquired Paul Stastny, however, was one big bright spot. Traded from the St. Louis Blues for a 2018 first-round selection, prospect Erik Foley and a conditional 2020 fourth-round pick, Stastny was simply stellar in his Winnipeg debut. 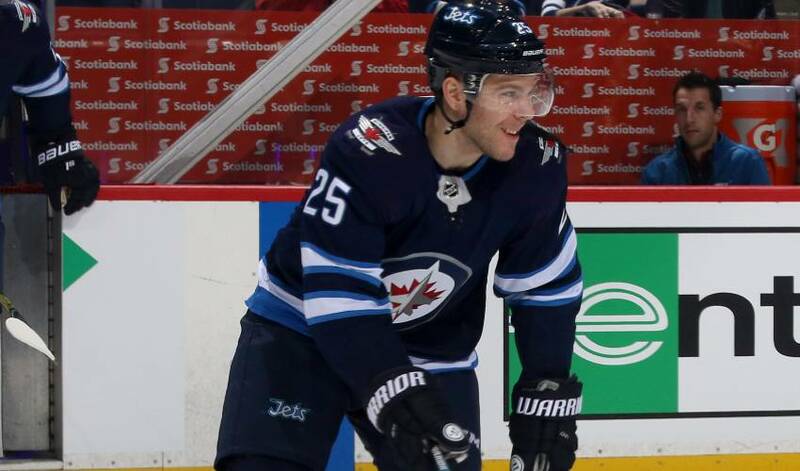 The 32-year-old centre netted a goal and an assist in his first game as a Jet, along with putting up some seriously impress stats in the faceoff circle, going 14 of 19 to produce a 73.7 win rate. He capped his evening off with Second Star honours. It was the faceoff mastery that caught the eye of veteran Winnipeg defenceman Chiarot. And he makes sure his teammates are, too. Since coming to Winnipeg, Stastny, who played the first 538 career games of his NHL career with Colorado before 267 games with St. Louis, has 10 points in nine games. The 44th overall selection in the 2005 NHL Entry Draft has skated in 814 NHL games, scoring 219 goals and 643 points. And they’re also happy to listen to what Stastny has to say before he skates toward the faceoff dot.